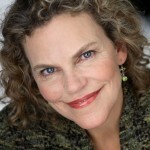 Dr. Laura Markham’s website, AhaParenting.com, is one of my favorite go-to resources to share with parents. With sound advice based on clinical and personal experience and supported by research, Dr. Markham offers excellent guidance for parents looking for help in their gentle parenting journeys. Welcome, Dr. Markham! Will you share your background/experience/education with my readers? I’m trained as a clinical psychologist. When I got my PhD at Columbia University, my mentor was Dr. Larry Aber, an attachment theorist who ran the Barnard Toddler Center. I was fascinated by the longitudinal studies that followed children over time and found that securely attached children are easier to raise, do better in school, are better liked by teachers and peers, are more professionally successful, are happier, are healthier, have better romantic relationships and marriages, enjoy parenting more, and are more likely to themselves raise securely attached children. Unfortunately, only about 60% of children in the US (this varies a bit across cultures) are estimated to be securely attached, leaving the other 40% to struggle emotionally for their entire lives. And yet, this is something we can change – by working with parents! We can accurately project whether a child will be securely attached by interviewing the mom before the child is even born, and we can work with the parents to help them resolve their own attachment issues to raise a securely attached child. Every parent deserves that opportunity. That’s why I specialize in parenting. So you advocate Attachment Parenting? I’m an Attachment Theorist, but Attachment Parenting is not quite the same as Attachment Theory. What creates a secure attachment is a parent who is warmly responsive to the needs of her unique child and able to accept the full range of his emotions. That means, for instance, that as a parent it’s important that we’re able to tolerate our child being angry at us, or clingy, or crying. To do that, we have to be able to stay calm and regulate our own feelings, and nurture our child through his emotions. That’s what creates attachment security. Do you recommend babywearing, breastfeeding, and cosleeping? I lived those practices with my own children, and they made my life easier and my babies happier. I personally believe they help us to be more responsive as parents, and research is emerging to back that up. So yes, I recommend them. But my point is that if it doesn’t work for you to use one or more of these practices, for whatever reason, it doesn’t mean you can’t be a responsive parent with a securely attached child. How has your own parenting journey contributed to your work and to your new book? When my son was born 21 years ago, my midwife told me before I left the hospital that I should begin right away to let my son cry at night so he would sleep better. My instincts, and my training, told me that was wrong. The more suggestions I heard, the more I realized that most parenting advice we take for granted in our culture was inherited from previous generations who did not have access to the longitudinal and brain research that we have now. For instance, we now know that the advice during the last century to “Leave your baby to cry and he’ll learn to self-soothe” simply isn’t true – babies’ brains develop the wiring to soothe themselves by being soothed by their parents. Babies who are left to cry may stop crying because they’ve learned that no one comes, but their cortisol levels are still measurably high, indicating that they’re still stressed. That stress and fear has to come out somewhere, in the baby’s cranky moods or clingy behavior. Another example is the pervasive practice of time-outs. Children act out because they’re in the grip of strong emotions, just as adults do. Sending them off alone to calm down gives them the message that having emotions is a bad thing, and that they’re all alone to learn to manage their overwhelming, scary feelings. And punishment actually hinders moral development—it doesn’t help the child behave better. When my son was born, I saw so many parents around me struggling. Parenting is the hardest work we do, as I learned first hand, and parents don’t get the support we need and deserve. But I also saw parents unknowingly creating problems with their children by following well-intentioned, but misinformed, advice. These were wonderful people who loved their children without reservation and only wanted what was best for their children. They would have been horrified to learn that their own actions were making their kids act out more. So I wanted to support parents and help them get a better start with their children. What influence did your own childhood experiences have on your parenting philosophy? My parents both loved me, but they were divorced and had their own challenges. They couldn’t handle their own emotions, much less mine. I remember vividly how fast I had to grow up, how lonely I felt, how I was looking in all the wrong places for someone to love me as a teenager. Now, I couldn’t have explained to you, even as a 16-year-old, what was wrong. But having that experience, I can say with total certainty that every child who is acting out is sending us an SOS for understanding, connection, and help with their emotions—no matter how incomprehensible their behavior may be to us. How is it that you came out of those experiences okay? Parents often ask me that when they hear about my childhood. I spent years in therapy and years meditating. I still have to work at taking care of myself; it doesn’t come naturally because I wasn’t taken care of. And I’m just lucky that I didn’t have additional risk factors – like ADHD, or a vulnerability to addiction – or I might not have made it to adulthood. 1. No matter what your childhood was like, you can heal it and be the parent your child needs. 2. No parent is perfect, because we’re human. Luckily, children are pretty resilient. What we do right is more important in creating the solid foundation for our kids than those times we mess up. What has most impacted your parenting philosophy? My understanding of children includes my training in child development, especially Attachment theory, which I’ve already mentioned. What I see parents struggling with is always emotions – their own, and their child’s. We all need a loving “witness” so we can heal our emotional hurts, which I first learned from Virginia Axline and Carl Rogers, and then saw Aletha Solter put into practice with babies. Of course, recent neurological findings have helped me flesh out and evolve my approach, so I’m a fan of Dan Siegel and Allan Schore. Finally, my specialty is practical solutions to the issues of everyday family life, so I’ve learned from countless leaders in the field –Adele Faber, Magda Gerber, Patty Wipfler, Larry Cohen, Jane Nelsen, and so many more. How does the style of parenting you advocate build trust to set the stage for a peaceful, mutually respectful parent/child relationship throughout the childhood and adolescent years? Every time we listen to our crying baby, tantruming toddler, or whining preschooler and respond to her needs, we build our child’s trust that we’re on her side, looking out for her best interests. Every time we resist our impulse to lash out with punishment, and instead help our child with the feelings that are driving her behavior, we help her gain the emotional skills to manage her behavior. Every time we seek first to connect, and only then to guide, we help our child want to follow our guidance. That slow accretion of respectful interactions is what builds the strong relationship we all want with our children. Our children learn that’s how to live in relationship, so they’re naturally respectful, compassionate and considerate. They treasure their relationship with us, and would no more damage that relationship — by lying to us, or defying us — than they would set fire to the house, and for the same reasons. I now have a 21-year-old and a 17-year-old. We never had the rocky teen years that scare parents. I think that tough teen stage is completely unnecessary; it’s created by a parenting style that doesn’t meet kids’ needs. If you had to sum up your parenting philosophy in a single sentence, what would it be? Manage your own emotions so that you can listen, empathize and stay connected with your child as you guide him. When you get upset, breathe through it and don’t take action until you’re centered again so you have access to your deeper wisdom. 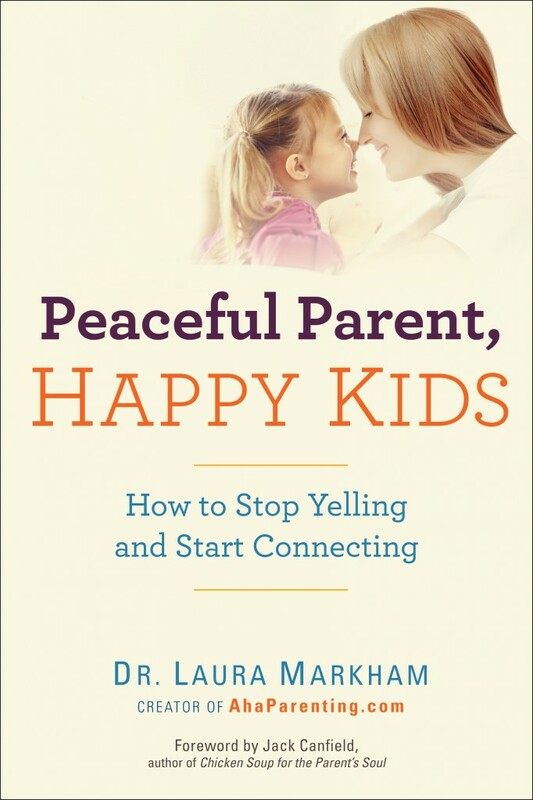 Dr. Markham, thank you so much for including ‘Little Hearts/Gentle Parenting Resources’ in your virtual book tour, and good luck with the launch of ‘Peaceful Parent, Happy Kids: How To Stop Yelling and Start Connecting’! Dr. Laura Markham trained as a clinical psychologist, but she’s also a mother, so she understands parents as well as kids. Her new book is Peaceful Parent, Happy Kids: How to Stop Yelling and Start Connecting. You can get Dr. Laura’s free daily or weekly emails online at AhaParenting.com, the home of Aha! 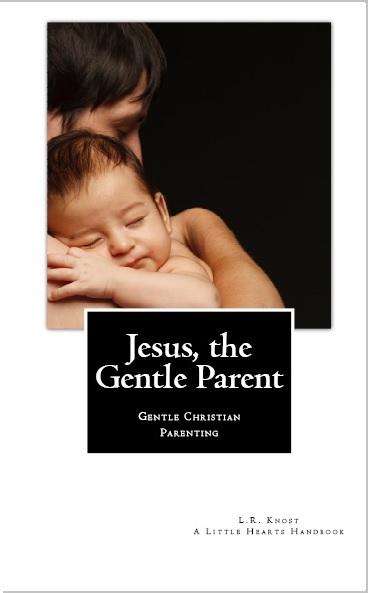 Moments for parents of babies through teens.